Shopping for Deadpool Bobble Heads? Who's the coolest guy in the Marvel Universe? Yup, this guy! At least Deadpool thinks so! 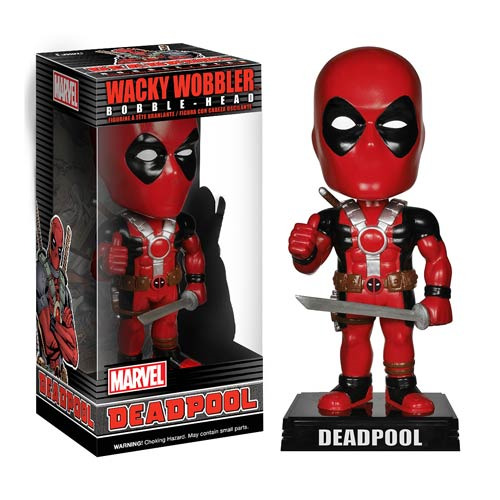 Take home the "Merc with a Mouth" as he stands 6-inches tall in his classic red outfit. Deadpool features a movable arms and gives you a thumbs up for your coolest ever addition to your collection! Deadpool stands on a name display base and comes packaged in a window box. Ages 14 and up.